This vector pack is crammed full of great graphics. 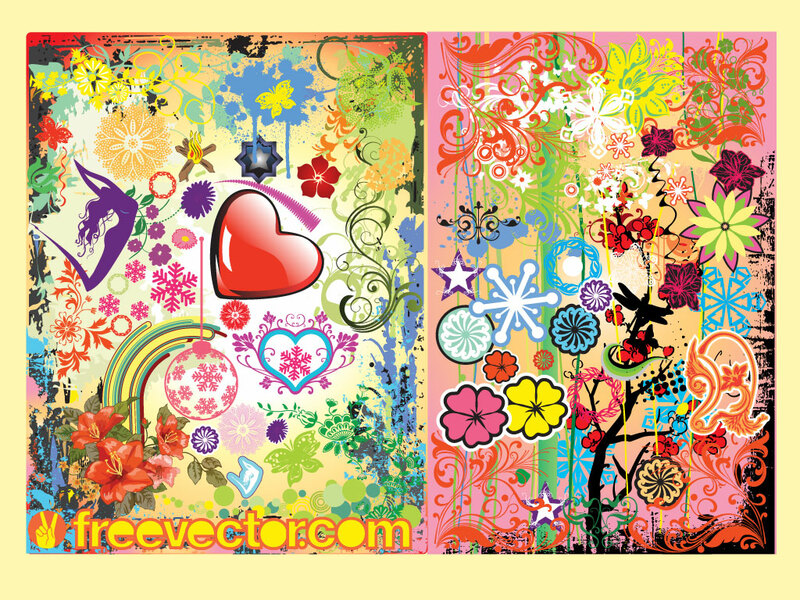 Features; flowers, roses, plants, fire, flames, heart, rainbow shapes, active silhouette, stars, ribbons, tree design and grunge splatter effects for your spring, summer nature and more. Tags: Butterflies, Clip Art, Decorative, Flowers, Graphics, Nature, Silhouettes.